Betawi Consultative Board (Bamus)'s plan to sell Betawi products through online marketing is supported by City Council Commission B.
" 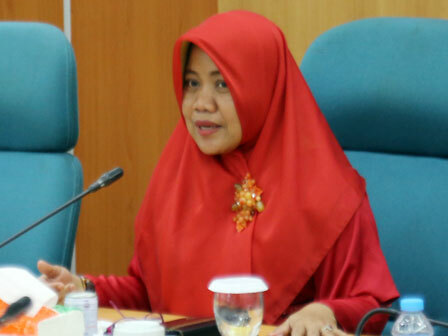 It is better to conduct training first before selling products online"
City Council Commission B Chairman, Yusriah Dzinnun said, online marketing is needed to be done thus Betawi products could be known in wider communities. "It is supposed to be like that. Products and souvenirs related to Betawi culture should be managed. Its industry and marketing are needed to be supported," she explained, Monday (11/13). Similar thing also expressed by Commission B Member, Ida Mahmudah. According to her, entrepreneur and marketing personnel should be trained first before online marketing is implemented. "It is better to conduct training first before selling products online. All Jakartans should receive entrepreneur training," she affirmed. Previously, Betawi Bamus Cooperation Head, Firman Toekan said, online system has been progressed for around 60 percent and it could be implemented next year. That online system is the new innovation for Betawi handicraft and culin ary products marketing development.